Does ethical travel photography exist? As travel photography has exploded in popularity, a growing divide has emerged between what’s considered an authentic, original image – and what is not. 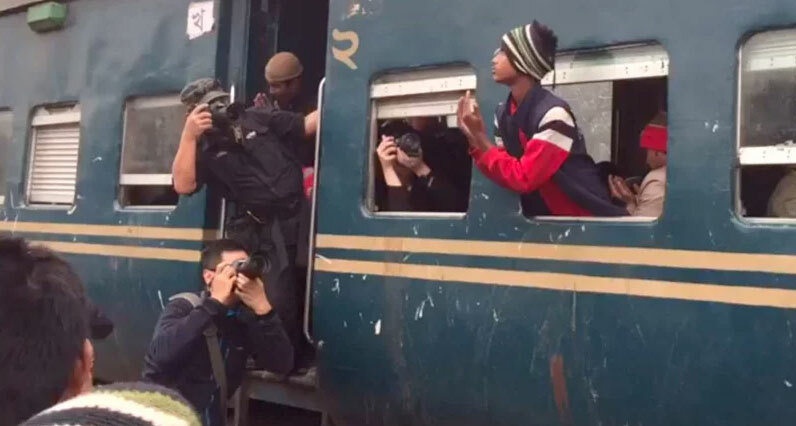 Fake it ’til you make it: Last year Associated Press photographer, A.M Ahad, recorded a video of photographers in Bangladesh capturing a man leaning out of a train window pretending to pray. The photographer, frustrated by the lack of ethics, told Petapixel this ‘staging’ is typical prize-hunting photographer behaviour. Some travel photographers adopt a reportage style that’s bound by a strict code of ethics, while others lean toward a commercial portraiture approach that permits paying a ‘model’ to pose or perform. Etienne Bossot (right), founder of photo tour company Pics Of Asia, is passionate about promoting authentic travel photography. He believes the essence of travel photography is finding something new, exciting and authentic to ‘convey a sense of truth’ about a destination. 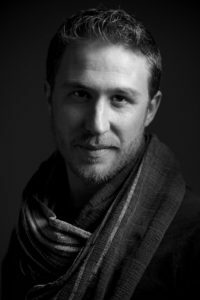 ‘Travel photography, and photography, in general, is not to blame for the rise of unethical behaviour we have witnessed over the past years,’ he told Inside Imaging. ‘I think this has more to do with the “me, me, me” attitude that social media has exacerbated. Etienne moved to Vietnam from France 12 years ago. He started Pics Of Asia in 2011 to take guests off the well-trodden path and teach them to develop skills in challenging conditions. He’s recently written about ethical travel photography, after claims emerged that the winning photo of the US$120,000 HIPA Award was staged. The photo shows a Vietnamese villager holding her teary-eyed child while she looks hopefully into the distance. Contest organisers said the villager, who has a speech impediment, evoked ‘a sense of strength for her children’ and the photographer, Malaysian Edwin Ong Wee Kee, captured an ‘intense humanitarian moment’. Bottom left is the award-wining photo. The photographer maintains the image was not staged. The villager walked toward the group and was asked to pose for portraits. Then comes the bigger picture – numerous photographers crowded around her taking photos. The ‘intense humanitarian moment’ doesn’t feel so powerful anymore. Was the villager staring deeply into the horizon while contemplating her child’s future, or looking painfully at another photographer as her young one’s cooing is drowned out by shutter clicks? Who knows! To Etienne, the HIPA incident is representative of a continuous cycle that inhibits creativity among travel photographers. 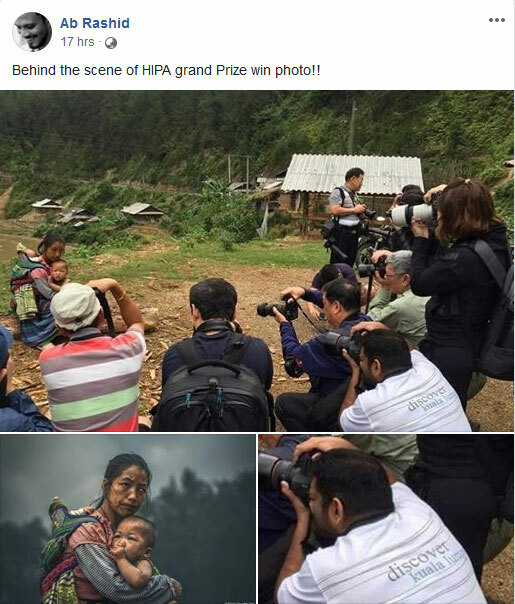 The photo won an outrageous US$120,000 – more than enough to inspire copycats to go out looking for their own ‘humanitarian moment’. ‘Imagine a young emerging photographer who wants to make a living from travel photography,’ he said. ‘What choice do they have? They could sell prints, but that’s very difficult in today’s world. They could organise an exhibition to get recognised by a photo agency or magazine? This takes a lot of investment and time. Often, it ends up being a waste of time. 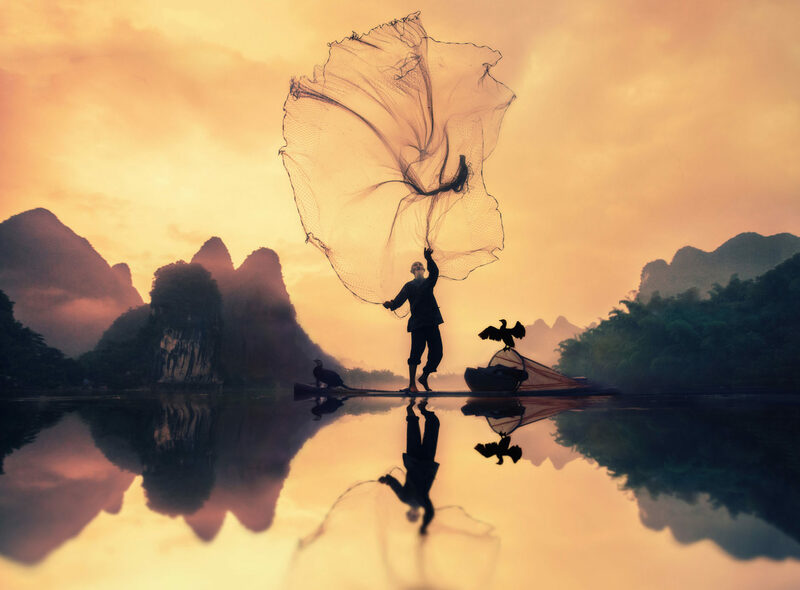 2018 Siena Awards winning photo by Chinese photographer, Yinzhi Pan. ‘As the lake is covered with reeds and floating plants, it is difficult to row while sitting. As a result, the Intha fishermen have developed an unusual rowing style. It is amazing how people in each corner of the world find ways to adapt to nature, inspired by nature itself’. Source: SIPA. Inle Lake fishermen are an irresistibly photogenic group of tourist performers in Myanmar. The fishermen were recently the winning subject of the Student category at the 2018 Siena International Photo Awards. This isn’t the first time the fishermen were the subject of an award win. 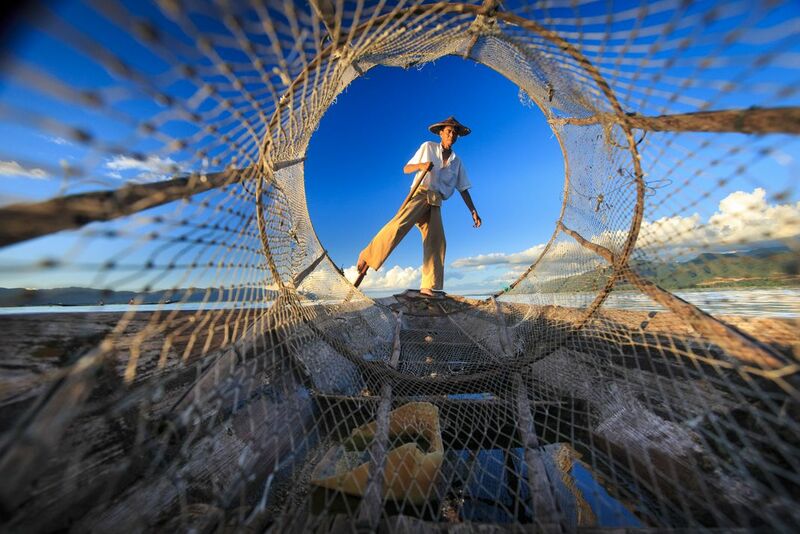 The famous fishermen with traditional cone-shaped fish traps now perform this ancient cultural tradition for tourists, rather than to catch dinner. Real Inle Lake fishermen still row with their leg, but use modern fishing nets. 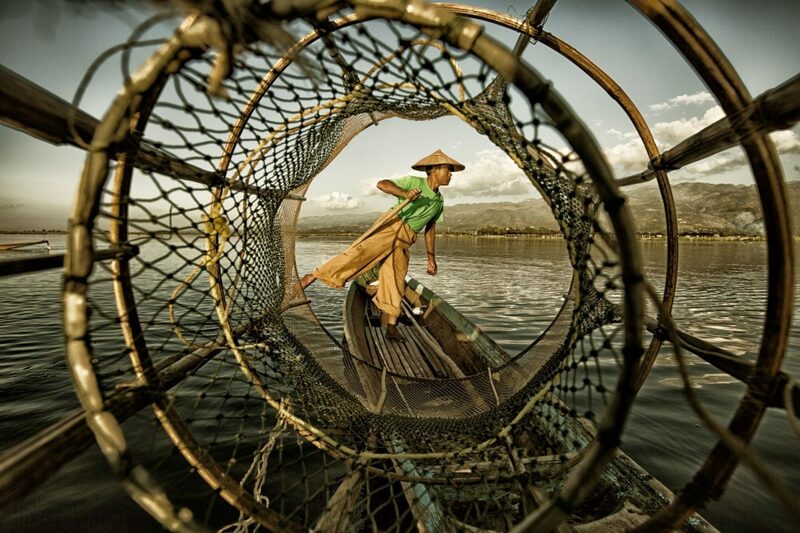 2014 Smithsonian Travel category finalist, by Myanmar photographer Aung Pyae Soe. While tourism pays better than actual fishing, a lesser known reason why more fishermen have become performers is deforestation and commercial farming allowing sediment to flow into the lake, harming the fragile ecosystem and resulting in a smaller catch. For whatever reason this information hasn’t been included in the captions of any award-winning photos, despite the UN recognising the serious threat posed to Inle Lake and its inhabitants. Perhaps framing the fishermen as genuine practitioners of an ancient tradition is simply more award-worthy. Etienne doesn’t blame photographers for wanting to capture gorgeous but staged images. 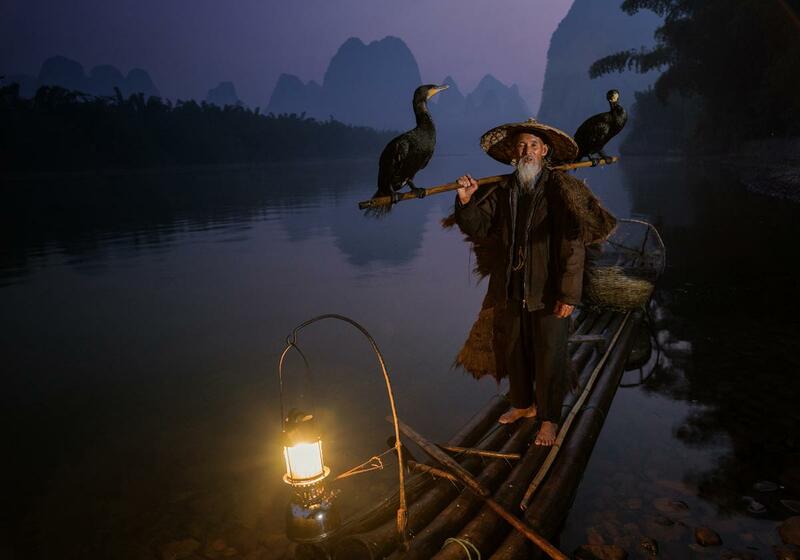 It’s good practice, and he felt similar urges when seeing images of the Li River cormorant fishermen in China. 2017 Sony World Photography Awards’ commended in the Open Travel category. This image by Khalid Alsabat also won the Sony World Photography Saudi Arabia National Award. Source: Sony World Photography Awards. But then, like the Inle Lake fishermen, these mystical wizard-like performers appear as the subject of numerous awards. Australian photographer, Neville Jones, won the 2014 Sony World Photography Australian Amateur category, and was also shortlisted in the Travel Open category in the main event. ‘When I see these images I wonder who is judging these competitions? I mean, for some of them they are, or sound, quite prestigious,’ he wrote in 2017. ‘You’d think that National Geographic know what they are doing right? They must have a panel of experienced travel photographers who know what they are doing. But how can these people award a photo we have seen a hundred times before? Wait, do these people actually know about photography? Have they ever traveled? A travel photographer like David Lazar may disagree with Etienne. David stages photos, and hires models for his Vietnam tours. 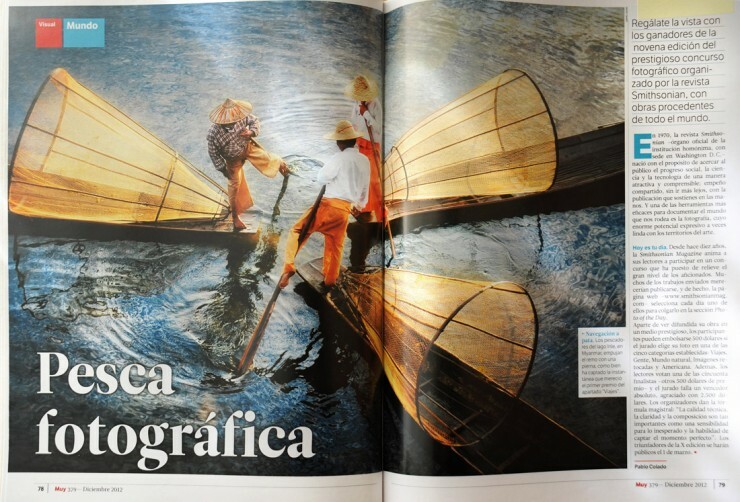 His advice in an article is to pay and pose ‘models’ when necessary, which is how he’s previously photographed the Inle fishermen and Masai warriors in Kenya. This method is discouraged by David Cardinal, another award-winning travel photographer and tour operator. While photos of Padaung women with neck rings are often entered into travel photo contests, rarely do they win an award. This may be due to the widely publicised exploitation of the stateless tribe, who fled conflict in Burma and are now ‘trapped’ in Thai tourist villages. Etienne believes there’s a responsibility to set up travel photography boundaries and ethics. It’s a drum he’s banged for some time, but he feels it can only really have affect if it comes leading travel photo institutions like National Geographic and the prestigious photo contests. ‘I am familiar with all these images that we keep seeing again and again. I live in Asia, I spend a lot of time looking at photos online, and I can tell when something is real or has been staged. But most people can’t. What we need is to educate people about this matter. Apples and oranges being compared here. Having been a press photographer for a decade (no longer, sadly), I was shocked at how few of my peers had even a basic understanding of photo-journalistic ethics, not helped by the widespread (though definitely not total) ignoring of ethics by newspaper management. There were, of course, some wonderful exceptions. But this concept of photography ethics is not well-managed, well understood nor widely policed in most of the world. If I see any image anywhere, I assume it might be staged and/or photoshopped, unless it’s clearly from a photographer working for one of the very few organisations known to require, and enforce, a ‘no tampering’ ethical approach (and even then, rules are broken). But one must also remember that your physical presence in a situation influences the outcome; it’s impossible to physically be present to capture an image, and not be influencing that image in some way, by being there to take it. So arguably, every image is the result of influence, however ethical the photographer. It’s a thorny issue for sure!